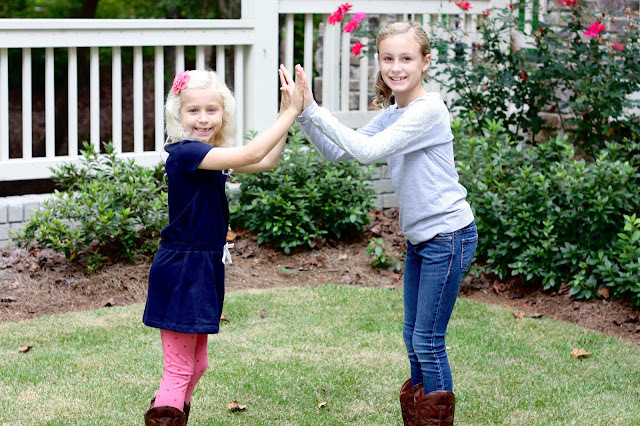 We mention a time or two (or maybe a dozen) that we love southern preppy style when it comes to anything...including kids fashion. Throw on a collared shirt, add a monogram and voila - you have our perfect outfit. Our second love though will always be comfy everyday activewear. There is nothing like throwing on a cozy sweatshirt, or a soft pair of leggings. The kids love those days too. They've come to learn that their initials will be on practically anything, and our boys will always request a "button shirt like daddy's", but they love being comfortable and wearing items that allow them to play and move without have to give a second thought to what they are wearing. 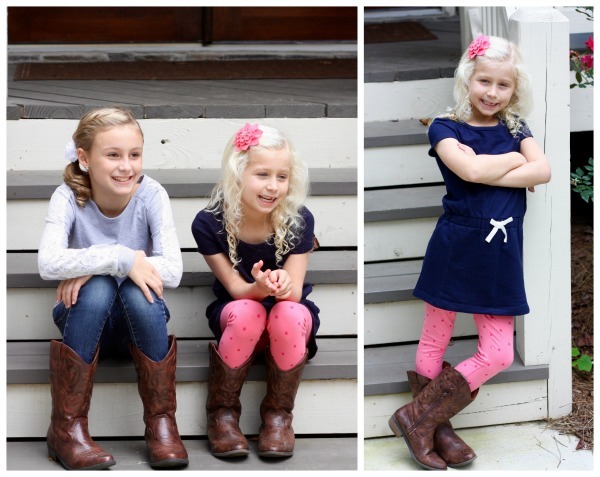 Last month we shared our love for French Toast, the children's fashion brand that specializes in all things preppy. French Toast does a spectacular job in designing durable school uniform looks for both boys and girls at affordable prices. 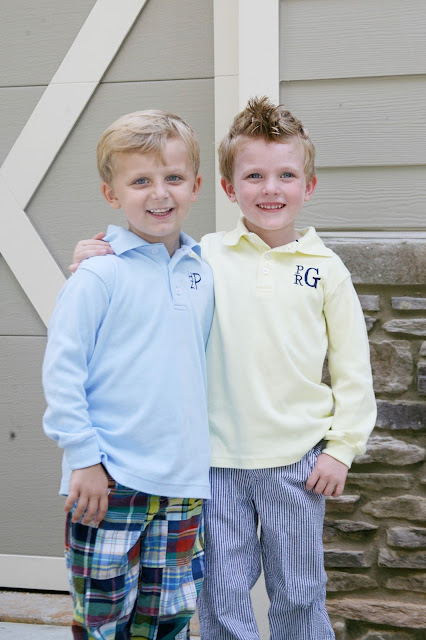 The polos we bought the boys last month are excellent and start at under $8! French Toast also offers an exceptional line of children's active and everyday play wear - and we LOVE it! Their kids clothing is always on trend, and durable enough to with stand even roughest of tumble of the active boy! Combine that with their amazing prices and you have now found your number one stop for your children's clothing purchases! 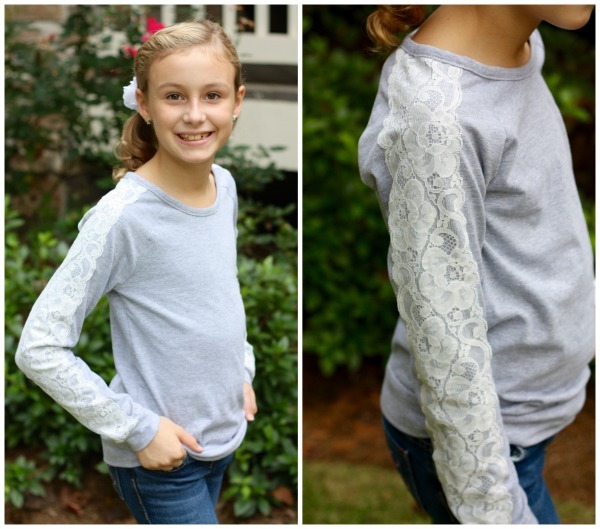 We are in love with this long sleeve lace raglan tee that Little Mama is wearing. In fact, we wish it came in our size. How seriously adorable is it?!? It comes in black and heather grey and is available in sizes 2T to 14. Currently it is priced for under $5!! Run, don't walk to grab one for your little girl. Seriously, go!! Goldilocks loves her some comfortable clothes. She is definitely one who would rather throw on a pair of jeans or soft leggings any day of the week. She fell in love with this super soft navy tie waist dress ($8). It looks great with leggings and boots or even just with flats on warmer days. It's cozy french terry blend fabric definitely satisfies her need to be comfy at all times! 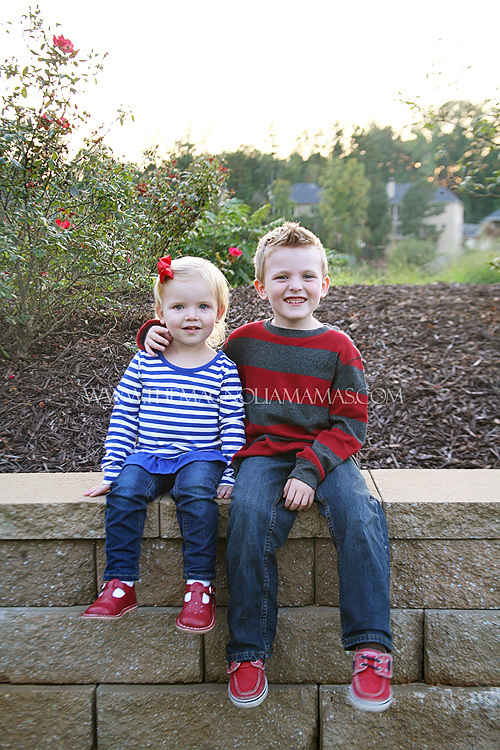 Little Cute opted for a playful look in this long sleeve striped ruffle top. The ruffle at the bottom is simply adorable, and gives a little something extra to the typical plain tee. It comes in three amazing colors and coordinating leggings are available too. Currently the top is also only $5! As soft and comfortable as it is, I will definitely be ordering another one for her. French Toast has definitely impressed us with their adorable uniform style and their fun classic playtime pieces. Their quality and comfort in our opinion is unmatched. Our little ones not only feel great, but look great - and that is the key to these mamas hearts. What is your favorite look from French Toast?